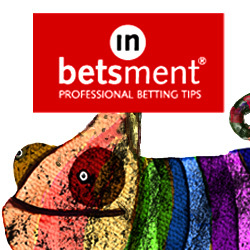 Get Two Top Tipsters for the Price of One! It’s not even a month since the World Cup ended but fortunately for us football fans we haven’t had to wait long for the action to get underway again. Yes the Premier League kicks off tomorrow as Man Utd take on Leicester and it is set to be a cracking season ahead. If you sign up to expert soccer tipster the Football Guru for just £1 for a 10 day trial, you will get 3 months access to top horse racing service Rod’s Runners for FREE! – A footy service that has made over £6,300 profit for its members to just £10 stakes, with a win rate of over 40%. – FREE access to tips that have made over £10,000 profit in just over a year. Get this fantastic offer now by signing up to the Football Guru here. The Football Guru has been on great form lately, with nearly 400 points profit made just this year and has some huge gambles lined up for the new season. Whilst Rod’s Runners has hit winners at over 100/1 and has averaged over £700 per month profit. These are both services we have been proofing for some time here at HBR and we have been mightily impressed with them. So to give you the benefit of each of these top quality services, we have managed to secure a deal where you can get both for the price of one. You can sign up to the Football Guru here and then Rod’s Runners will be added to your subscription. This is a one-time offer and is only open for a limited period, so don’t miss out.